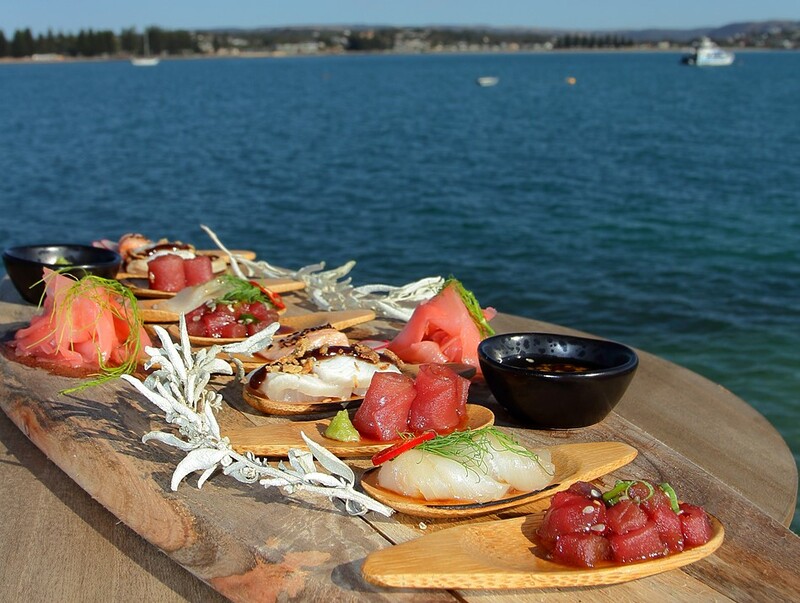 Your VIP "Island Discovery Package" includes an Aquarium Swim, Seafood Tasting Platter and your choice of a glass of South Australian premium wine, beer or Adelaide Hills cider. Our seafood is ethically sourced, sustainably produced and caught. ***Please provide your preference regarding your Tasting Platter before, or after, your tour, in the ORDER NOTES. Note that any platters selected to enjoy BEFORE all tours will be ready a minimum of 1-1.5 hours beforehand (i.e. platter for 12:00pm for a 1:30pm tour). Please keep this in mind when planning arrival times.